Even though these coins only appeared on the market in 2008, they’ve quickly become a favorite among investors to be among the most liquid and frequently traded bullion coins in the world. If you are residing in Europe, then these coins are an especially good choice as it is where the Austrian Mint reputation is established. Holds 1 troy ounce of silver bullion. Made in the country of Austria at the Austrian Mint. Purity of .999 fine silver. Legal Tender value of €1.5 Euros guaranteed by the Austrian Government. The front of the coin showcases various instruments from the Austrian Philharmonic. The backside of the coin shows the Great Organ of Austria’s concert halls along with information related to the coins (weight, purity, legal tender value, and year). The Austrian Mint was actually started in the age of the Crusades. All the way back in the 12th Century. In 1194, Richard the Lionheart of England had paid a ransom to Duke Leopold V of Austria. (The Duke had captured Richard and forced him to pay because of a previous insult). Duke Leopold decided to take the ransomed silver and strike it into coins. This unofficially started the Austrian Mint. 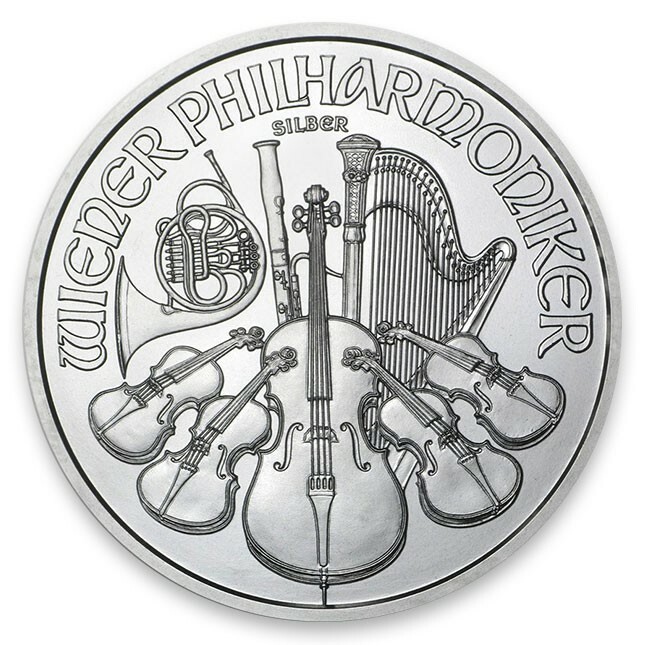 The front of the silver coin, or obverse, features instruments from the famous Austrian Philharmonic. The cello is front and center, with violin spread to either side, with the harp, bassoon, and french horn behind. At the top of the coin are inscribed the words “Wiener Philharmoniker”, which is German for the Vienna Philharmonic. This is why the coin is often referred to as just the “Philharmonic”. Beneath that is the word Silver in German “SILBER”. The reverse, or back side, shows the Great Organ of Austria's concert halls. Stamped around this is information related to the coin origin, face value, weight, and purity stamps in German. 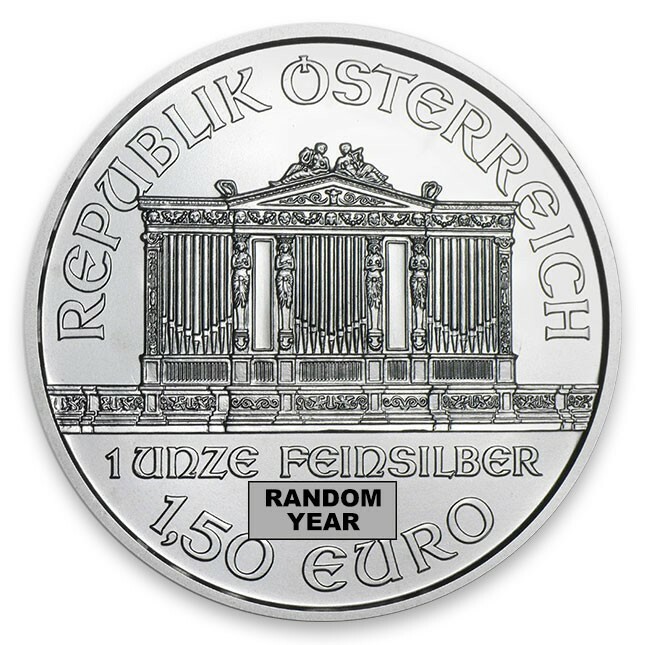 “REPUBLIK OSTERREICH” meaning the Republic of Austria, “1 UNZE FEINSILBER” or 1 Ounce Fine Silver, “2016”, and “1,50 EURO” of course its legal tender value. Best Prices On 1 oz Silver Philharmonics!